It looks really like a delicious donut, but for your stomach. Of course, if you just want to enjoy your favorite comfortably, the iRiver Sound Donut portable wireless speaker will help you. 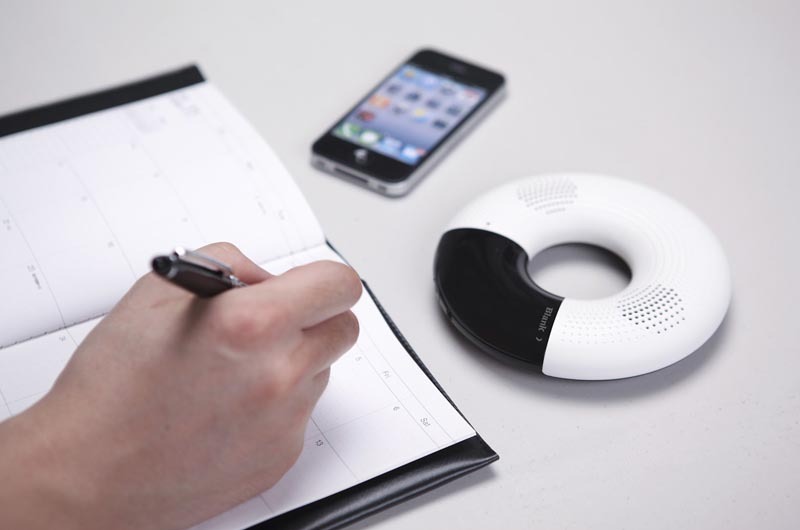 The Sound Donut is an eye-catching Bluetooth wireless speaker that measures 136mm in width and 26mm in height. 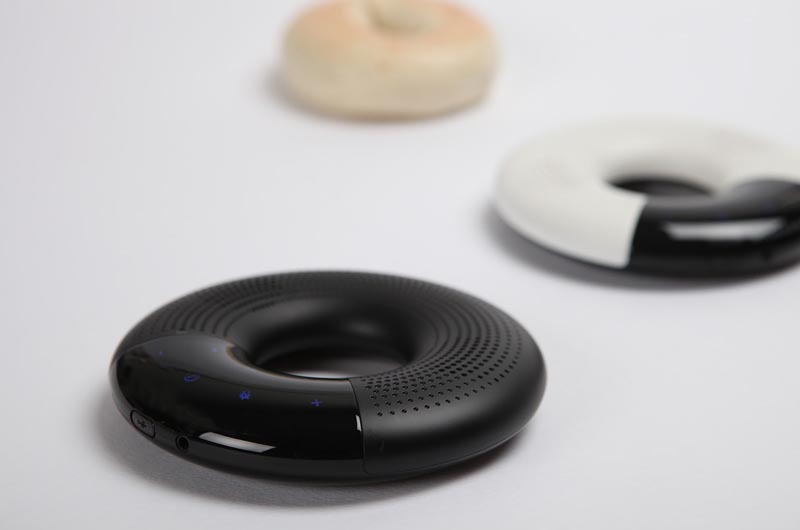 As we can see from the images, the portable speaker is shaped as a delicious donut, and comes with a built-in speaker in order to deliver you a higher level of sound quality for your favorite music, and the integrated microphone allows you to answer your calls handsfree, moreover, the built-in advanced Bluetooth technology allows you to connect any Bluetooth-enabled music player with the Bluetooth speaker. Apart from that, after fully charged in approx 4.5 hours, the built-in rechargeable battery can offer you 9 hours of playback time. iRiver Sound Donut portable wireless speaker is priced at $140 USD. If you’re interested, jump to The Fancy for more details. Additionally, if you need other options, you might like to check Big Jambox portable wireless speaker and more via “wireless speaker” tag.